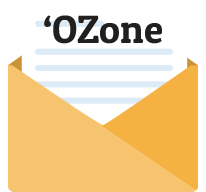 Thursday, April 25; Friday, April 26; Saturday, April 27; Sunday, April 28; Friday, May 3; Saturday, May 4; Sunday, May 5. 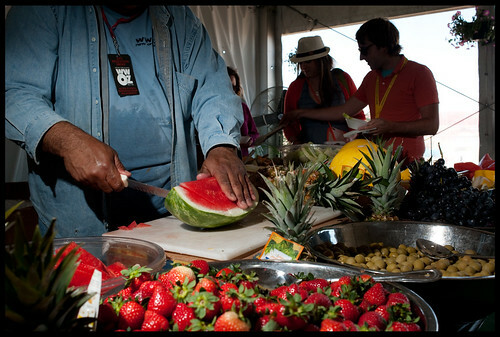 The WWOZ Hospitality Tent will be open for all 8 days of Jazz Fest. 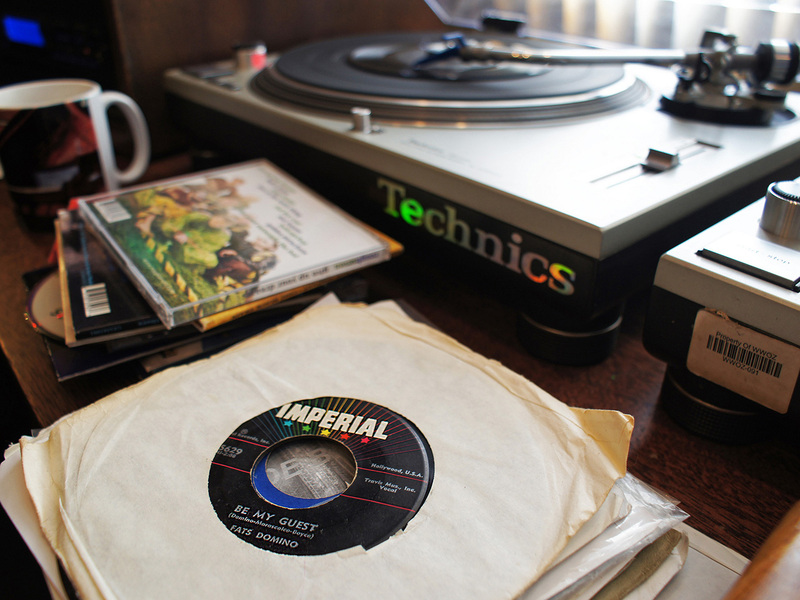 The latest information on tickets and music line-up for the 50th Anniversary Jazz Fest can always be found at www.nojazzfest.com. 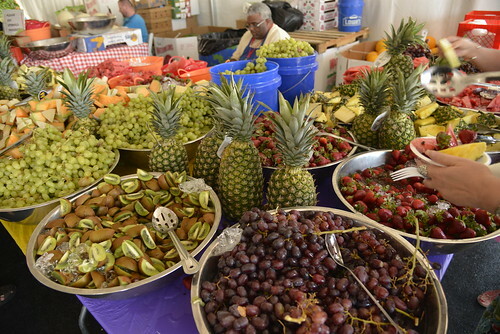 Brass Passes allow you same-day re-entry to Jazz Fest, unlike regular Jazz Fest tickets. Brass Passes are fully transferable. A different person can use the pass each day of the Fest. 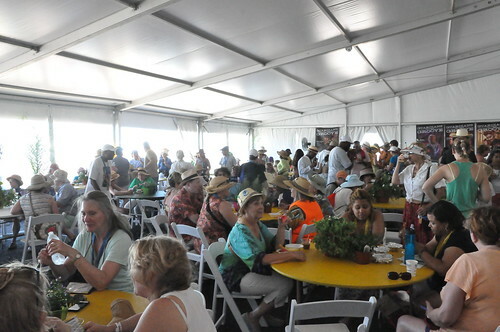 Brass Passes grant you access to tables & chairs, shade, fruit, iced coffee, misters and separate bathrooms in the WWOZ Hospitality Tent. See the NOTE below on new Hospitality Tent access rules. You'll also have access to WiFi and device recharging stations.  Your Brass Pass purchase comes with a full year's WWOZ membership and a portion of the proceeds go directly to the station so we can keep bringing the music and culture of New Orleans to the Universe. 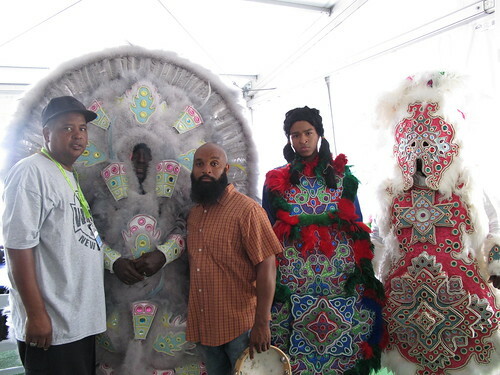 NOTE: Only Brass Pass holders may gain entry to the WWOZ Hospitality Tent. 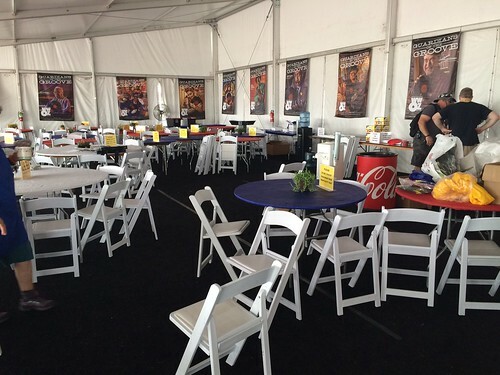 In order to ensure a safe, quality experience in the Hospitality Tent, we can no longer admit "plus one" guests. 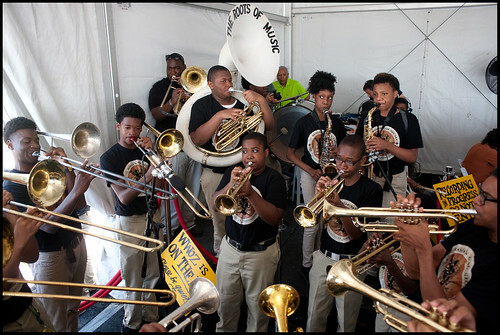 However, children 10 & under can enter the WWOZ hospitality tent with a Brass Pass Holder. 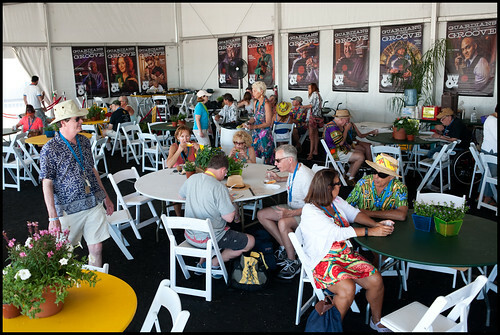 Panoramic view of the Hospitality Tent at Jazz Fest. Old Man River and Charles Burchell in the Hospitality Tent. Photo by Kichea S Burt. 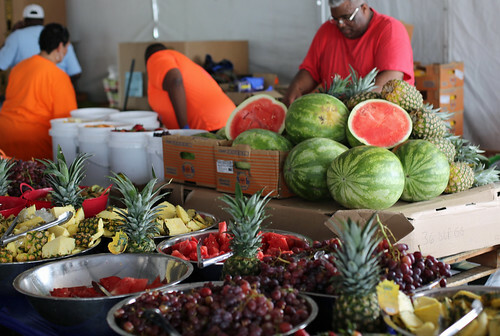 In the WWOZ Hospitality Tent. Photo by Kichea S Burt. 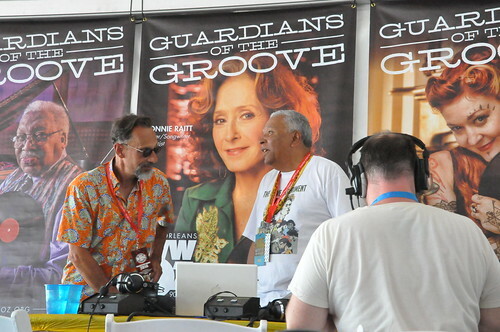 In the WWOZ Hospitality Tent.. Photo by Charlie Steiner.